Displayed on a King Sized Bed. 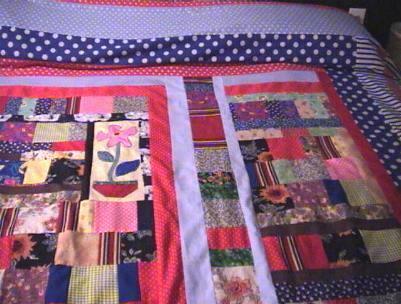 This is a beautiful new Scrappy Olde Fashioned Country Style Applique King Sized Quilt Top that I made. Just finished Aug. 24, 2007. Some of these photos were taken at night and is not as pretty as the top itself. 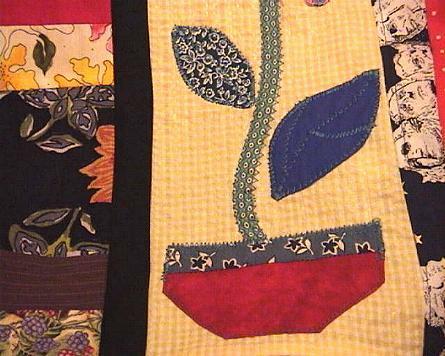 I appliqued the flower and pot in about the center of this quilt top. 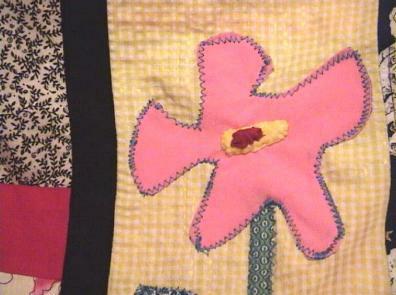 Some of the applique is done by hand. 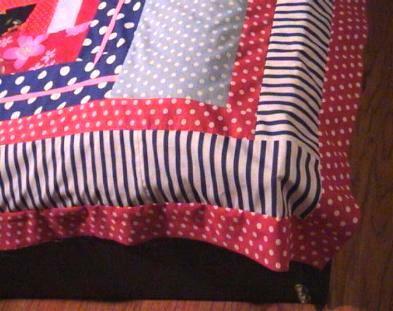 The top of the pot and the stem are Aunt Grace repro fabrics. I put some detailing on the leaves. 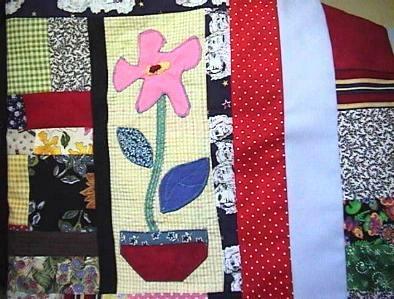 I added the shabby zig zag stitches around the flower head to give it a further olde country accent. I made this top with the depression era in mind. 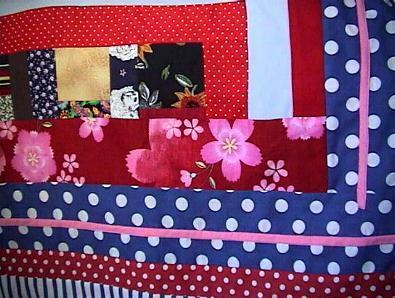 -The olde poorer folk would often sew scrap to scrap until the desired size was achieved- I spent many hours working on this top. Notice in the photo below how the top tucks under the pillows and still has lots of hang on all sides. 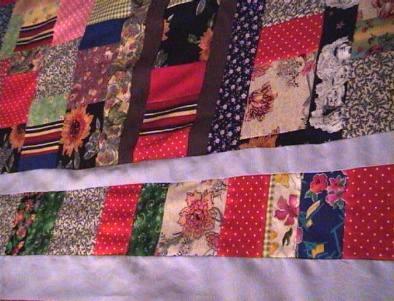 It is nice and now simply needs some loving quilting. Just beautiful. This is a treasure for someone who appreciates the olde days. You'll notice some Kaufman fabric in the top. 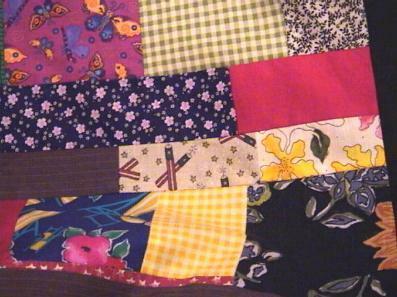 There are about 40 or more fabrics on this quilt top. 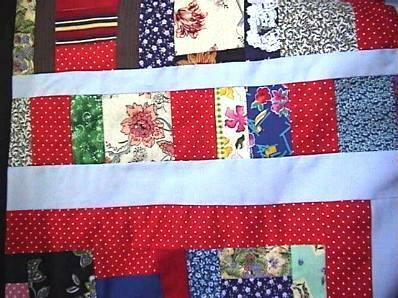 Fabrics are a wide assortment of good quality cottons and cotton/polys. 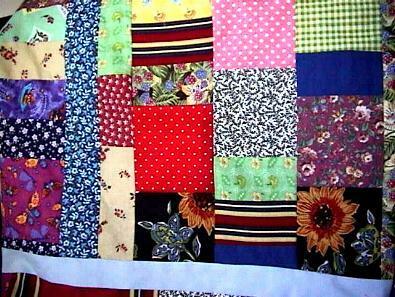 All fabrics are NEW. 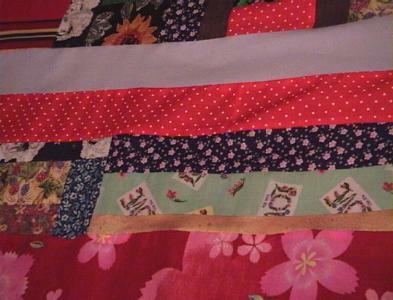 The butterfly fabric is MUMM.